finished product was not exactly what I had in mind but I was still proud of it! 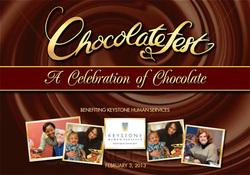 Every year Chocolatefest has a theme. Two years ago the theme was Jamaica, this year the theme was Winter Wonderland. So I got to thinking about what I wanted to do. First was to plan the flavor of the cake. So the first thing that came to mind was Starbucks Peppermint Mocha. 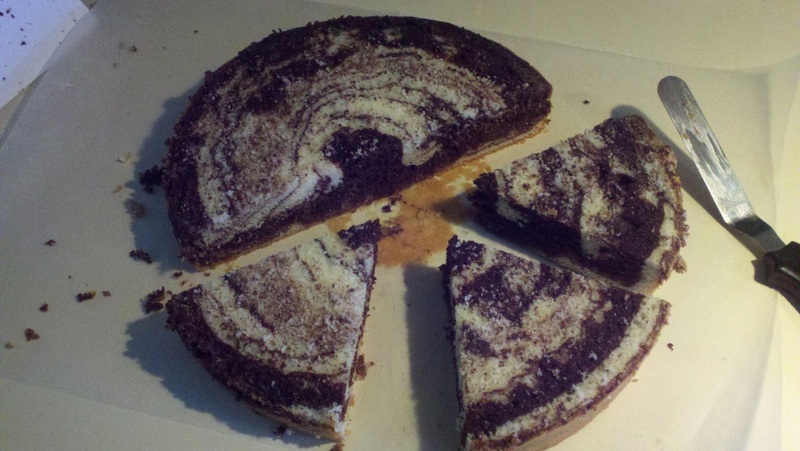 I made an experimental cake and to my dissapointment I could barely taste the mocha. After that I changed my flavor to a Peppermint Hot Chocolate cake. I used Hershey's Perfect Chocolate Cake recipe (can be found online) and added some peppermint extract. The cake tasted phenomenal! 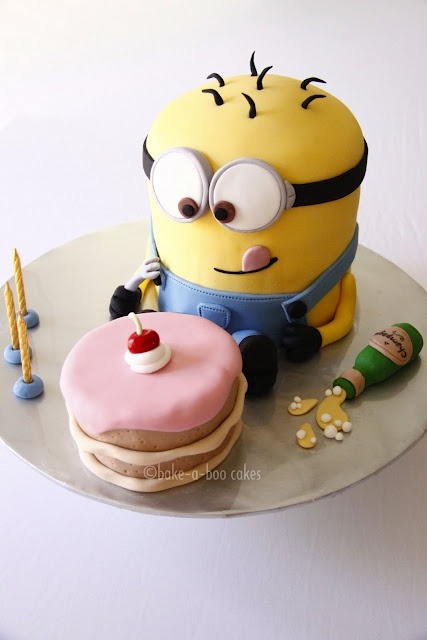 Next step was the design of my cake. When you think winter what do you think of?? I think of snow, skiing, penguins, polar bears etc. 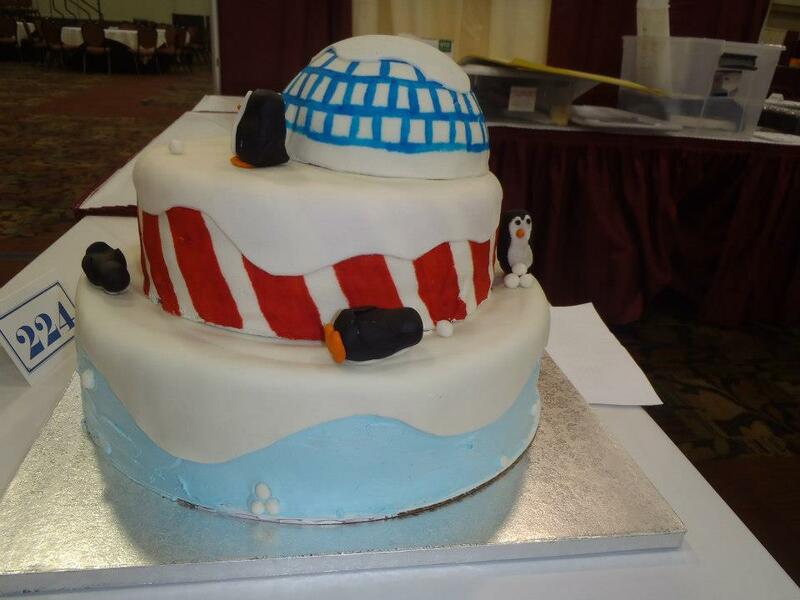 So I came up with a Penguin Playground for my cake. 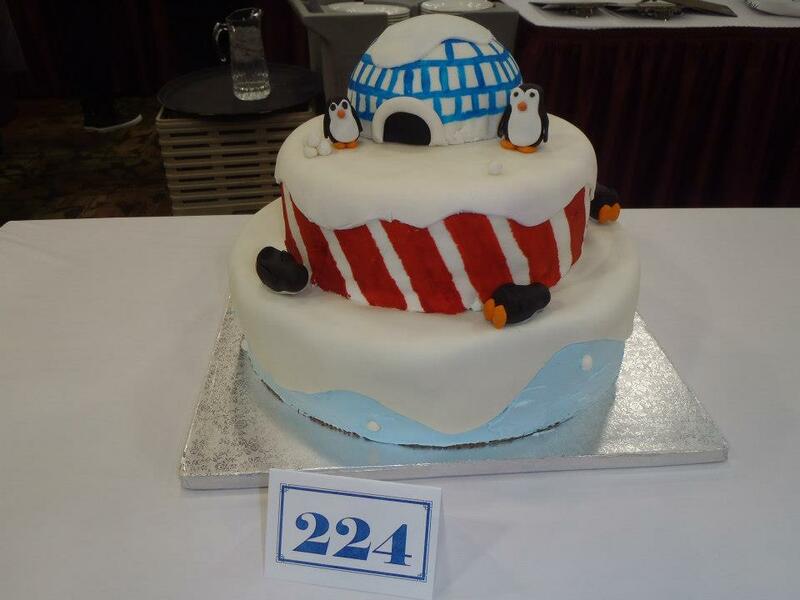 One of my elements that I didn't get to make was a gum paste slide for the penguins. 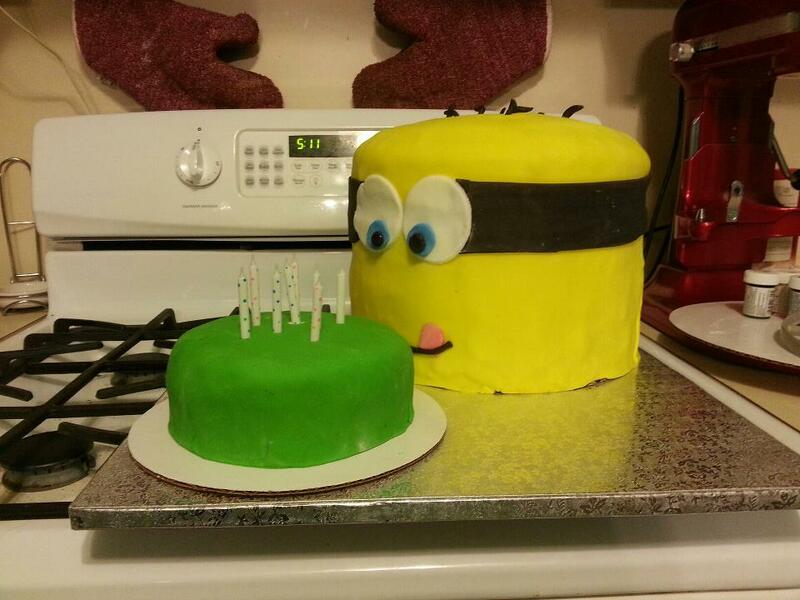 But overall I was very happy with my finished cake. 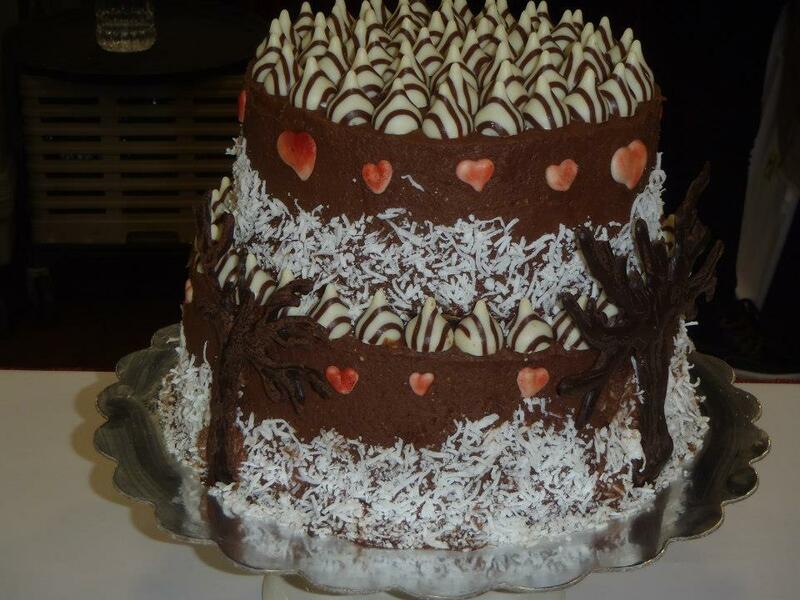 Below are just some of the other cakes that were at Chocolatefest 2013. I hope you enjoy them as much as I did! can stop by. It is May 31 to June 2. WooHoo! Classes are finally over for the semester! So you may ask what have I been doing that I was so busy that I wouldn’t post anything new to my blog? Well, I’ll tell you. I was spending my days catching up on house work that I had neglected while in classes. 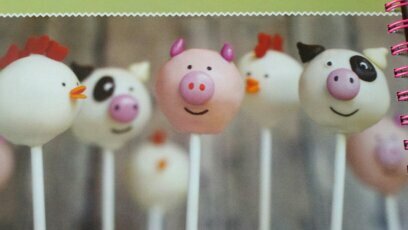 But yesterday I took a day off of cleaning and spent it baking and playing with different cake ball ideas. I made Orange cake balls that I am hoping to create Orange Dream Cake balls with. I finally got the cake perfect! Next is to create the sweet whipped frosting to inject, yes inject, into the center of the cake ball. 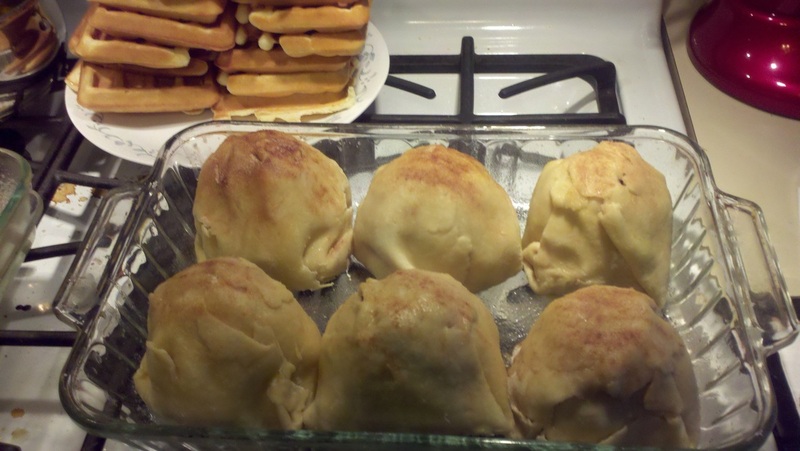 I also made French Toast donut holes, mmm they were so yummy. I couldn’t believe that they actually tasted like French toast, I even injected a few with syrup. pop recipe. I’m sorry that I don’t have pictures of the Ebelskivers, my boyfriend took them into work today. Now back to cleaning for a few days and then more baking. Okay, so years ago before I saw the light of cooking from scratch and healthy eating I used to buy box mixes for both baking and dinners. Sad, I know. But I have had a few pretty delicious things like that. One of which I continue to make today, only now I make it from scratch and not a box. It was called Taco Bake, which I still call it. What is Taco Bake you ask? It’s fairly simple. First you must gather your ingredients. A minimum of one pound ground beef, I prefer two pounds, velveeta or any cheese that you prefer, soft tortilla shells and salsa if desired. First step is to cook the ground beef. Once the ground beef is cooked the whole way through you season it with taco seasoning, which you can find in almost any grocery store with the taco ingredients. After the meat is cooked and seasoned you can mix the salsa in if desired. From this point on it is simply a matter of layering everything. You start with a flour tortilla on the bottom of an 8x8 or 9x9 square baking dish. 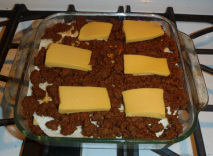 Next you scoop some of your taco meat on top and finally finish that layer off with a few slices of cheese. Repeat the layers until you run out of taco meat. Once finished layering bake the Taco Bake at 400 degree for 20 to 30 minutes. 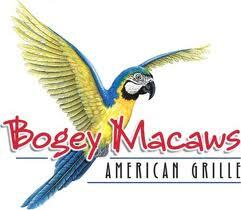 Time to enjoy! Top with sour cream and lettuce or eat it just like it is. The best part about this dish is that you can enjoy it however you like just as you would a taco. So I had a family picnic on Saturday at a log house with my whole family and a bunch of family friends that my Aunts, Uncles and Dad grew up with. I always bring a dessert and this time I wanted to make something fun since it was a picnic and the weather was to be 77 degrees and sunny, in other words a gorgeous day! 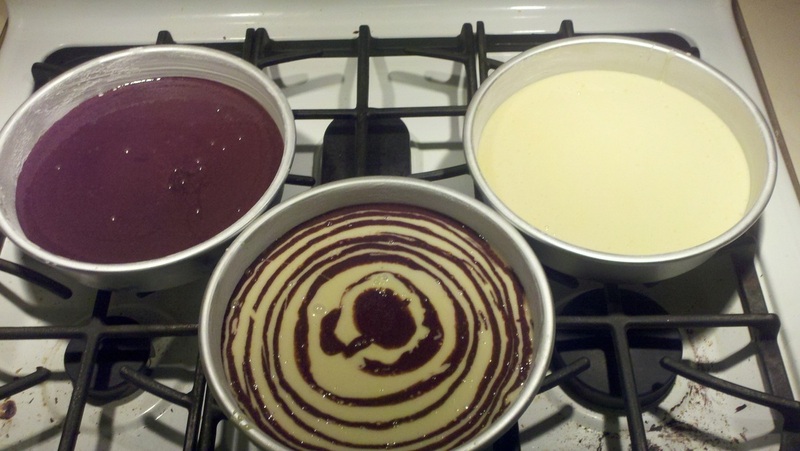 Once baked I let the cakes cool before cutting them, while they were cooling I tinted the vanilla whipped frosting three different colors. 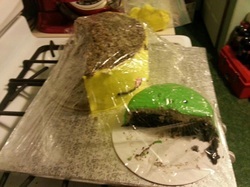 Red, Dark Green and Light Green, I left some white to dirty ice the cake. 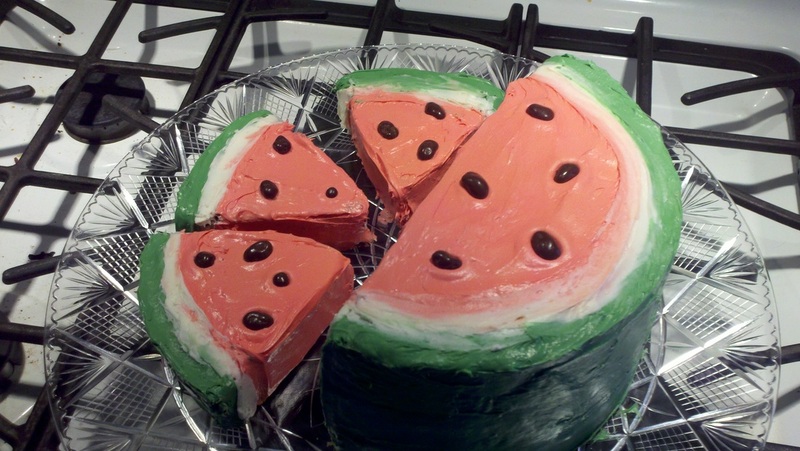 Once ready I piped the colors on to the cake and slices to make it look like watermelon. After it was frosted I used raisinets for the seeds. 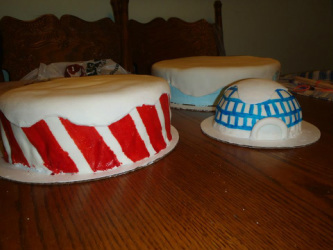 I was so happy that it turned out as nice as it did and it was a hit at the party! 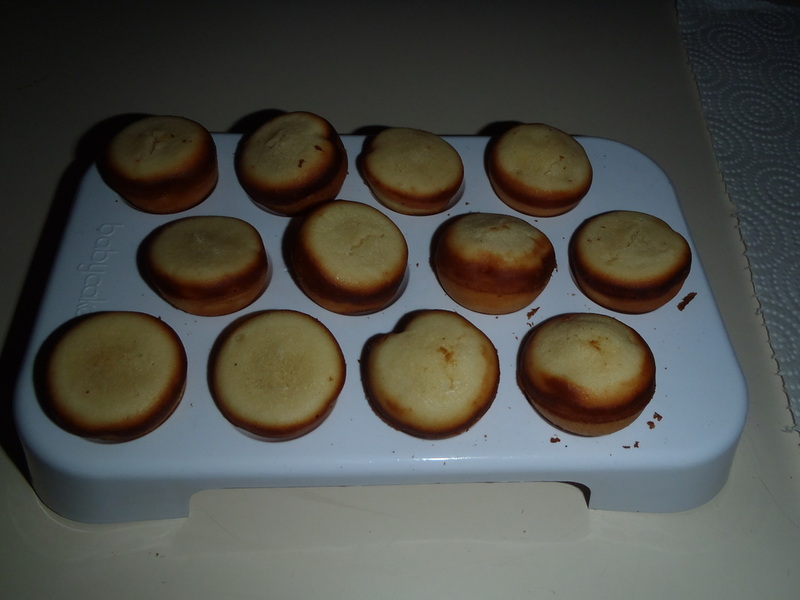 The lemon cake pops cooked perfectly! 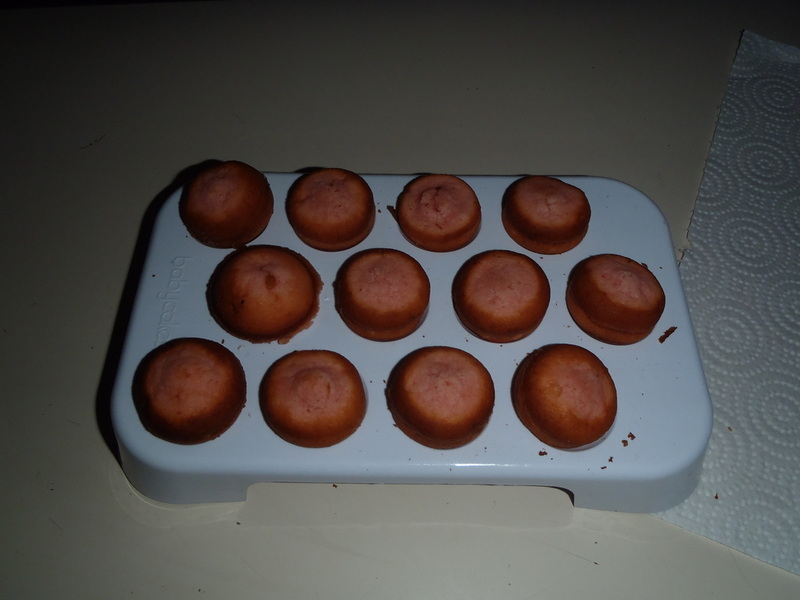 Once they were cooled I dipped the sticks in yellow chocolate and placed them in the cake balls. After that the cake pops went in to the freezer to get cold and hard. It is a lot easier to dip them in the chocolate when they are frozen versus roomtemperature. Once cold I started dipping them in yellow chocolate one by one and decorating them with white chocolate chips to look like a sun. Although looking at them now I’m not sure if they resemble a sun or a flower, I’ll let you be the judge. 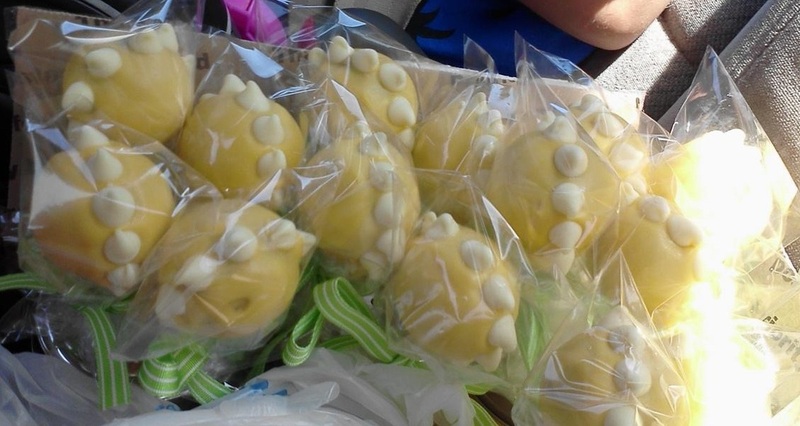 After all of the lemon cake pops hardened I put them in individual bags and tied a green ribbon around the base. 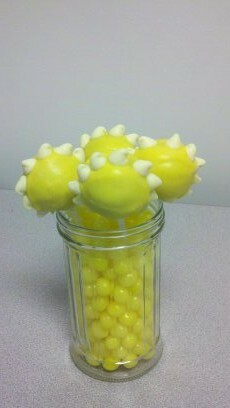 They were then placed in mason jars filled with lemon heads and sugar shakers also filled with lemon heads. 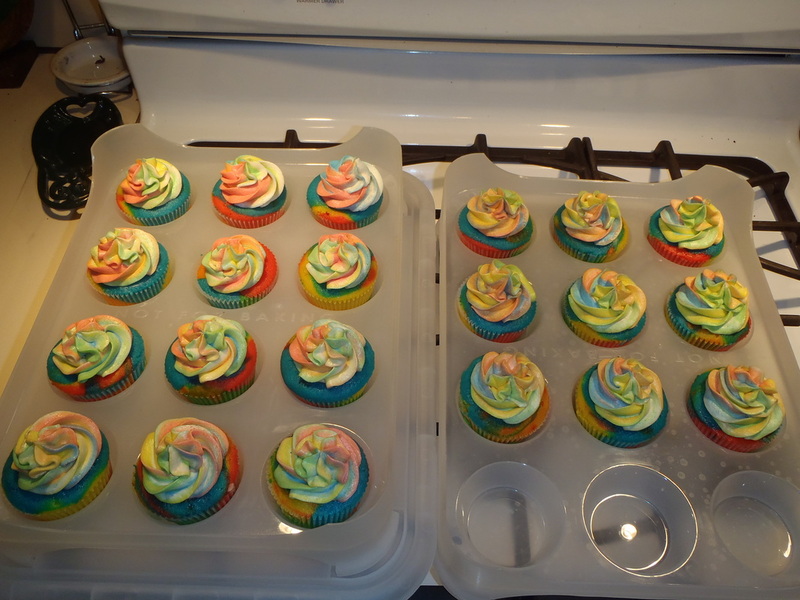 I look forward to experimenting with the orange and strawberry some more until I can get them perfect! My goal with the orange is to get them to taste like a creamsicle or orange dream cake. 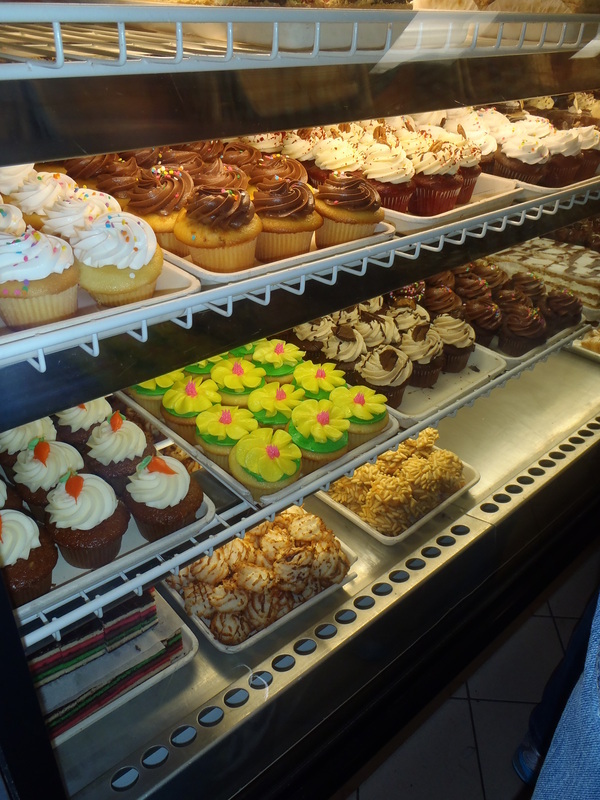 12 regular size cupcakes. I chose to decorate the cupcakes with a red chocolate drop of blood, that is the LLS symbol on their website. Next was to figure out how to decorate my table. For that I looked to my mom for advice and boy did she have a great idea! 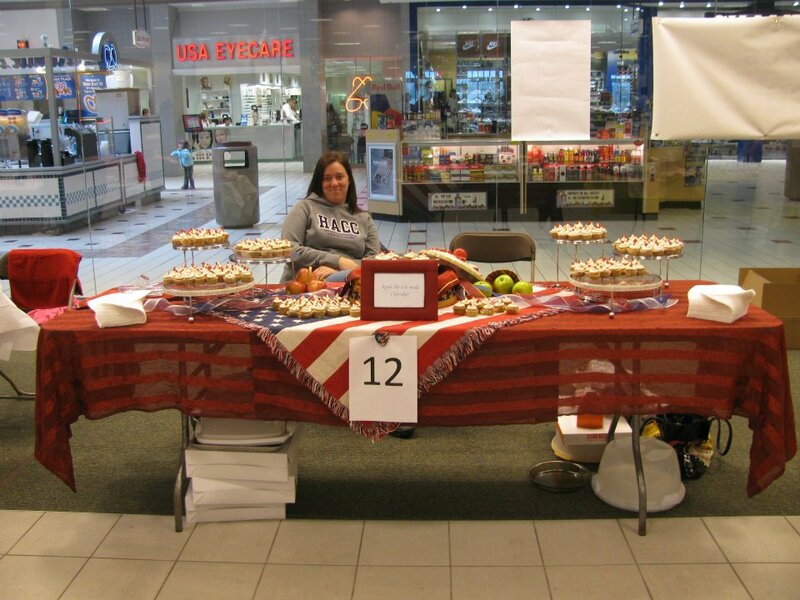 She came up with the Americana theme that we used. The evening before the event my mom, stepdaughter, and I went and decorated the table. and not the amateurs. I was/am in no way at the level of the other professionals but I did my best and smiled the whole time. Soon it was time for the judging and I had to speak into a microphone….I hate public speaking I get incredibly nervous! 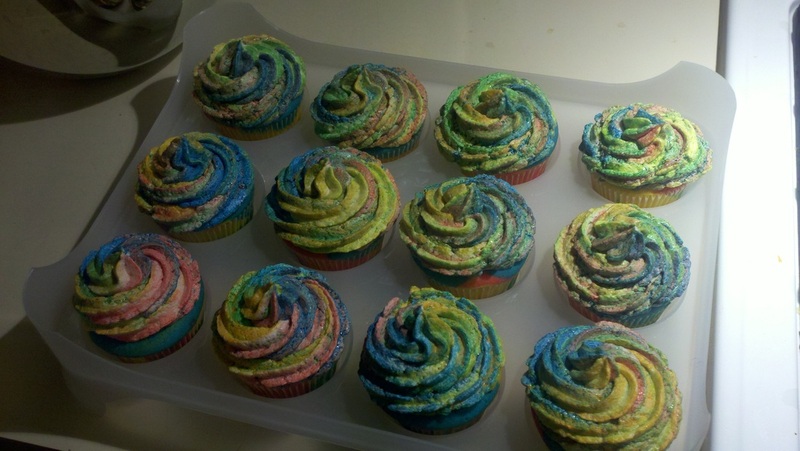 But I was also hopeful because of all of the compliments that I was receiving from the people that tried my cupcakes. announced. 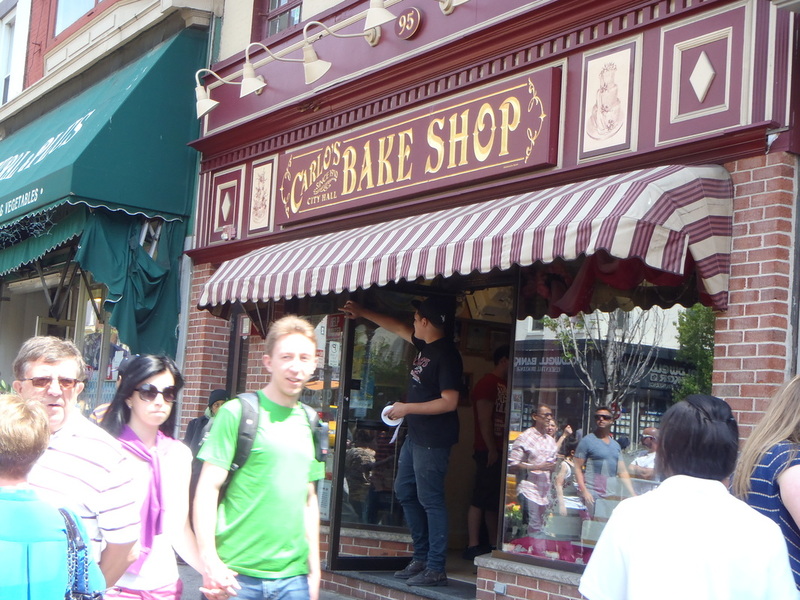 The bakers were judged on taste and appearance. 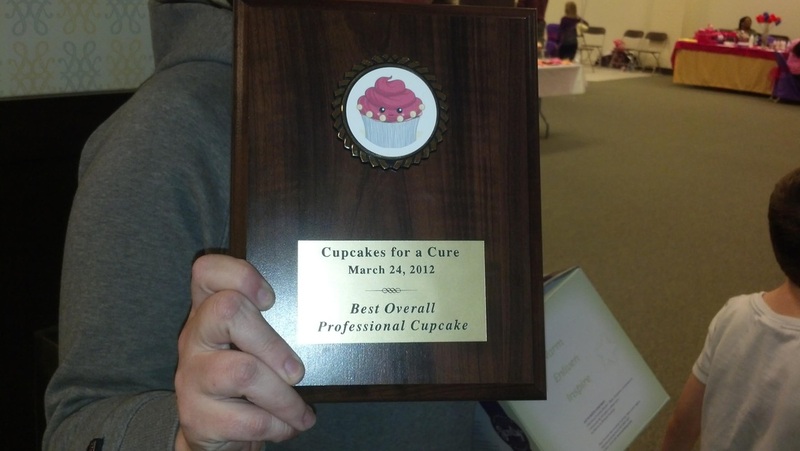 I won Best Overall Professional Cupcake!!!!! excited to see the finished product and my son couldn’t wait to try them. 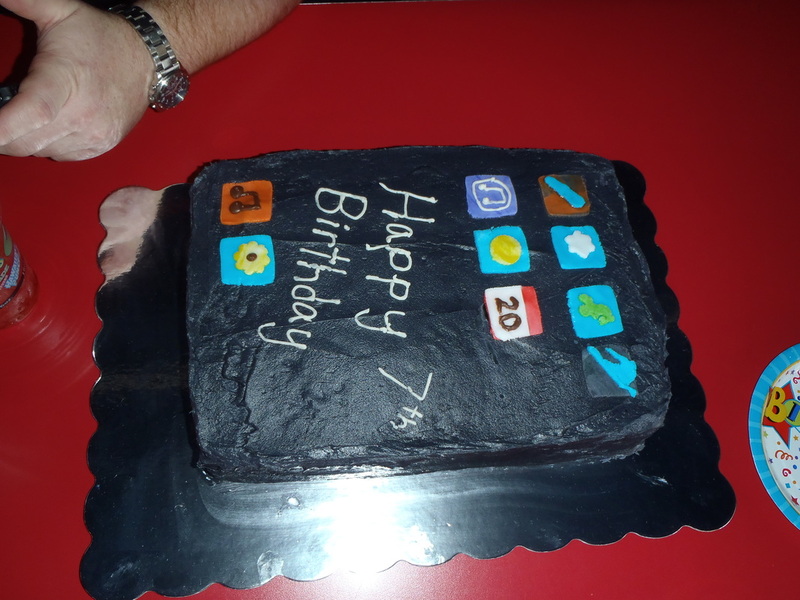 For his birthday party he made a more difficult request by asking me to make an iPod Touch cake! But I managed to do it. 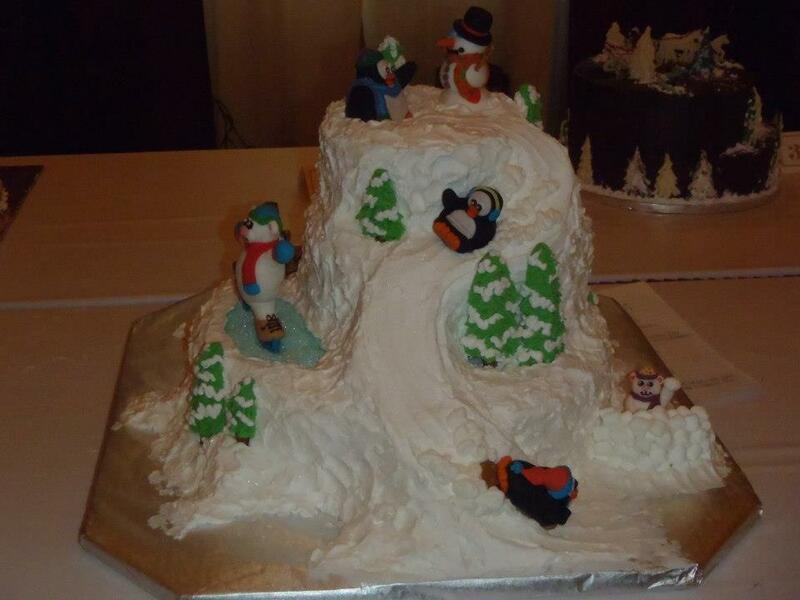 Although I wished it would have turned out better than it had but everyone from the parents to the children loved it. 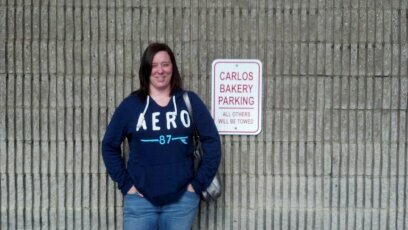 My trip to Carlo's Bakery! from my boyfriend, and it was one of the best gifts ever! 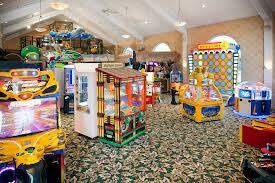 I had fun meeting new people and learning new skills that I can put to very good use. 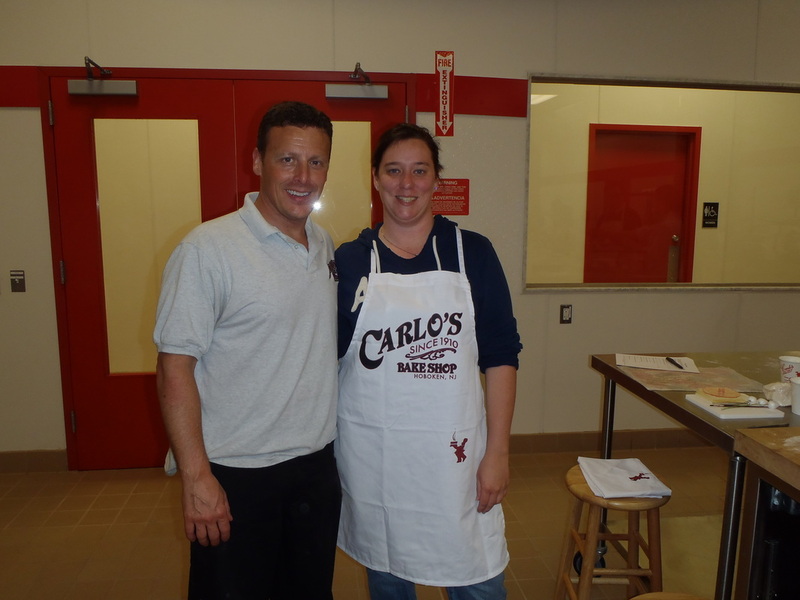 My first class was how to make gum paste roses and I got a lovely surprise when Buddy Valastro’s Brother in Law Joey popped in to say hi. My second class was piping on fondant and I got another surprise when Buddy’s sister Mary stopped by. Sadly I did not get to meet Buddy. 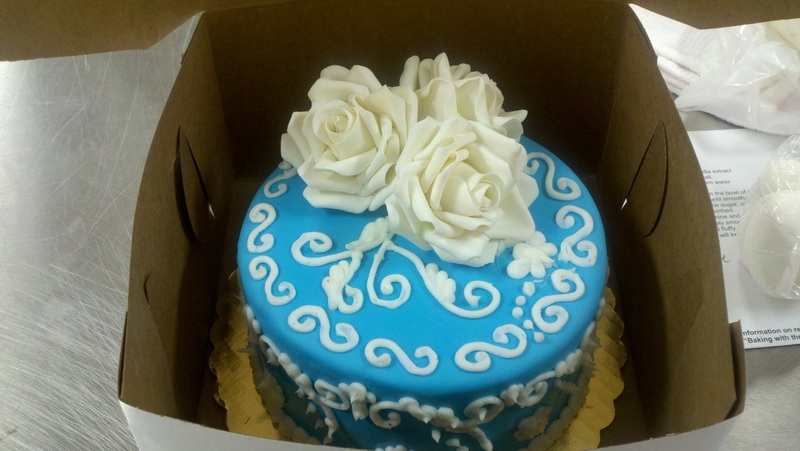 My finished product was a 2 layer 6 inch cake covered with blue fondant, piped with white buttercream frosting and finally I placed my three white roses on top! 7PU27SKJCK2Z - This is just a code to verify that I am the author of my blog for Technorati.